Yes, we perform at churches too! We are looking forward to meeting NEW friends at Crown of Life Church and seeing again some of our friends we have met at our previous shows in Sun City West! TWO SHOWS, SAME DAY! 2:00 pm AND 6:00 pm shows Two separate Peter, Paul and Mary Christmas Experience with featured guest, Rick Doughtery, currently a member of The Folk Legends and formerly of the Kingston Trio and the Limeliters! West Park RV Resort, Wickenburg, AZ back again, this time for our Christmas Show with special guest Rick Doughtery! We are looking forward to performing our Christmas show at Westpark, this time with Rick Doughtery, currently a member of The Folk Legends and formerly of the Kingston Trio and the Limeliters! Riverside Resort Hotel & Casino, Don’s Celebrity Theatre back again, but this time for our PP&M Christmas Experience! Come join us for a Peter, Paul & Mary Christmas Experience at this iconic theatre! We will be here every night, Thursday, Friday, Saturday and Sunday, Dec. 13- Dec. 16, 2018. RIVERSIDE RESORT HOTEL & CASINO, DON’S CELEBRITY THEATRE *BACK AGAIN, BUT THIS TIME FOR OUR PP&M CHRISTMAS EXPERIENCE! We are heading to beautiful Sedona, AZ to perform at the Mary D. Fisher Theatre that is connected with the Sedona Film Festival. Starting the New Year of 2019 with new Sedona friends! This will be the first of our California road trip. We are looking forward to meeting new friends in our neighboring state! Second stop on our first CA road trip! It's going to be fun night! Can't wait to see these wonderful people again and to meet the friends they bring! We are truly looking forward to performing at St. Mark's UMC and meeting these new friends! This will be our first show here! We are looking forward to meeting our new friends! Havasu RV Resort, Lake Havasu, AZ * Returning for another private party, for Resident Only. We are looking forward to seeing our Havasu RV Resort friends again! Islander RV Resort, Lake Havasu, AZ *Invited back again! We all had so much fun January of 2018 that we are doing it again February of 2019! Added to our Lake Havasu tour is Beachcomber Estates with Sam's Beachcomber RV Resort residents coming too! More friends to add! 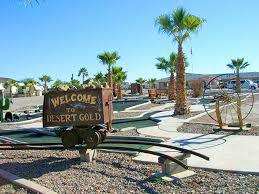 Desert Gold RV Resort, Salome, AZ *Returning again! We had so much fun with these new friends and are thrilled to know that they are excited to have us back! We are coming back to this famous historic watering hole in Prescott, AZ! Seating for dinner begins at 5:30 pm, show begins at 7:30 pm. Call to make your reservations- 928-541-1996 Cost of dinner and show only $37.00 each plus tax and tip.